“A week that shapes a lifetime.” It is near impossible to say one significant event can change your life. To have the audacity to make that claim you need the ability to back that claim up. Without a doubt, the staff of Boys’ State believes that they can back that up. Boys’ State is not a normal summer camp where you go to relax, but rather one that seeks to build up who you are and your beliefs. The moment you receive your letter of acceptance and town assignments that journey begins. Each town represents a moment of American history captured in time by Boys’ State. Boys’ Staters are placed into a variety of towns: Bunker Hill, Valley Forge, Alamo, Manila Bay, Bataan, Belleau Wood, Gettysburg, and Yorktown. Each town represents a moment in American history where a sense of nationalism has persevered. That same sense of nationalism Boys’ State attempts to foster in each of its participants. With me, that began the moment I met Riley Knust, 2018 Cornhusker Boys’ State Governor. 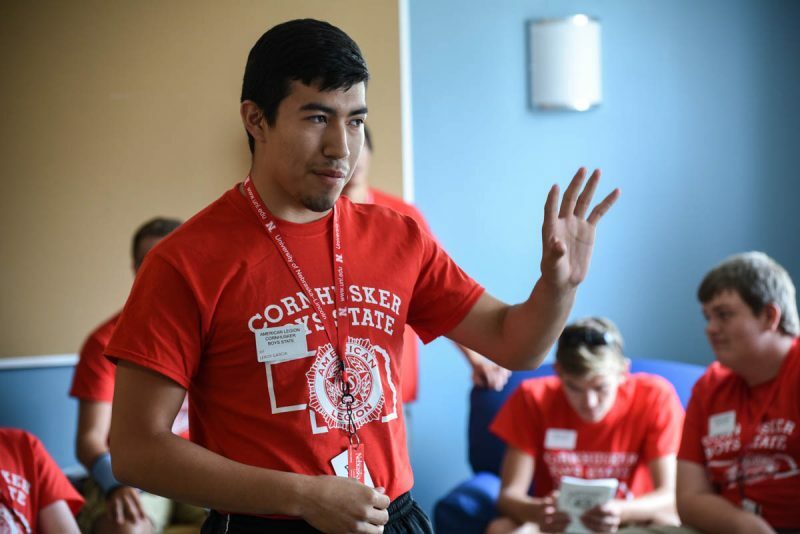 Riley stood on the frontlines of the registration process, not afraid and showing his confidence in the ability of Boys’ State to change one’s life. That continues throughout the registration process, meeting legionnaire after legionnaire, each having stood up for what they believed in and fought to continue that sense of nationalism. The appearance of that confidence is further highlighted when I met Connor Flairty head counselor for Manila Bay. You can never question that Connor and the other counselors of each town do not believe in the organization they are working with. They laugh, they joke around, they are strict but underneath that all they care about each and every single Boys’ Stater. At the end of registration, the process of getting to know one and another begins. Personally coming from Omaha, I had never met people from cities like Sidney, Nebraska. 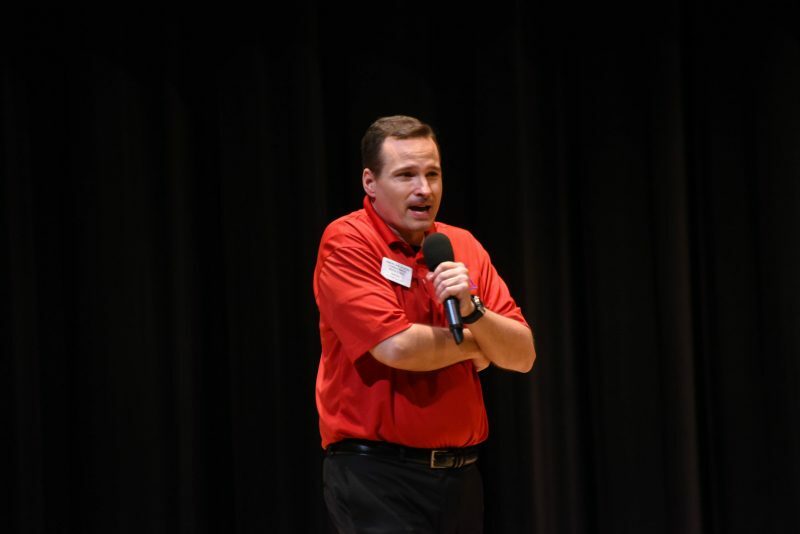 However, when one attempts to create that sense of unity, that Boys’ state does, one must break down the geographical barriers that separate each participant. Manila Bay achieved this through the toilet paper icebreaker. The Manila Bay counselors in their ever caring sense decided to mess with us and tell us that our one-ply toilet paper would have to last the night till the bathrooms were restocked. Only until each town member had taken ample toilet paper did they reveal the truth. Unsurprisingly, UNL does stock its bathrooms with toilet paper (that is still one-ply), but also each piece of paper we took was the number of things each member of Manila Bay would have to say about themselves. This activity truly brought the gravity of the moment to the minds of each Boys’ Stater. Although we are one town, we do not have the same experiences or beliefs but that does not mean we cannot be united. Finally was the initial meeting. I am not going to say that it was not long or at points boring, because as all things that meeting was. However, that does not mean that the meeting itself was not valuable or important. As I said earlier, to make the claim that you can change the life of someone you need to back it up. That meeting sets the tone for the week that will change your life. With each speaker confidence in this belief is more and more visible. 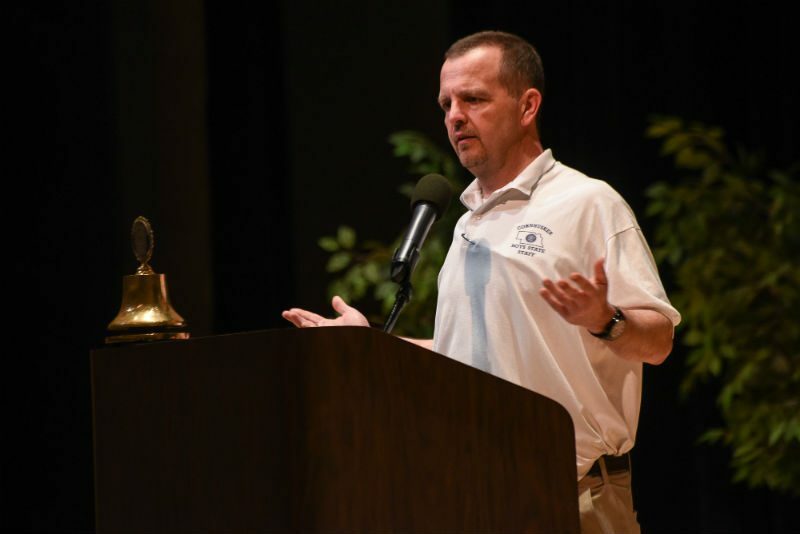 Knust speaks yet again and with each pause, in his speech, it is visible the clear impact that Boys’ State had on him. Michael McClellan, 2018 delegate for Boy’s Nation, gives a poignant speech on how the motto of Boy’s state rings true. Co-Chief Counselors Scott Day and Aaron Zabawa act as in-person examples of the fraternity that is Boys’ State Alums. 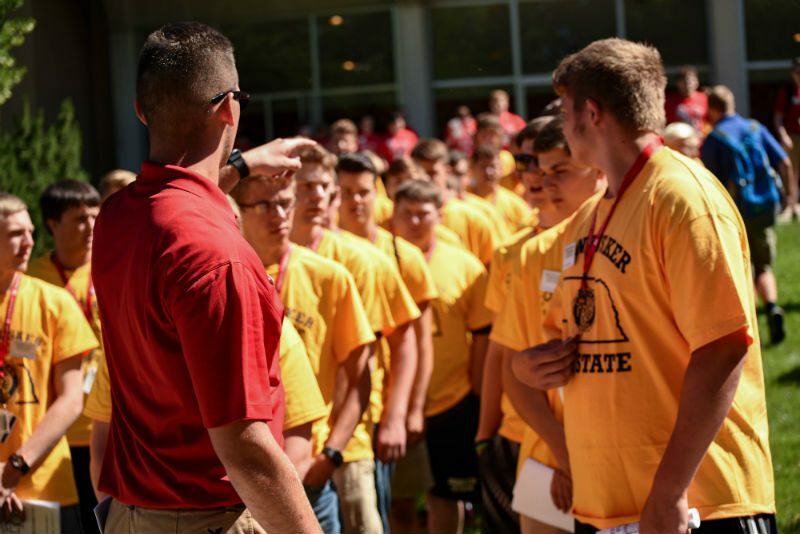 With each speaker it is clear, Cornhusker Boys’ State does not believe it will change lives, it knows it will change lives, it is just a matter of time when the Staters themselves reach that same understanding. As I set forth on this journey I am just as fearful as I am excited about the experience that is about to begin. Just like my fellow Boys’ Staters I am ready and looking forward to “a week that shapes a lifetime”.